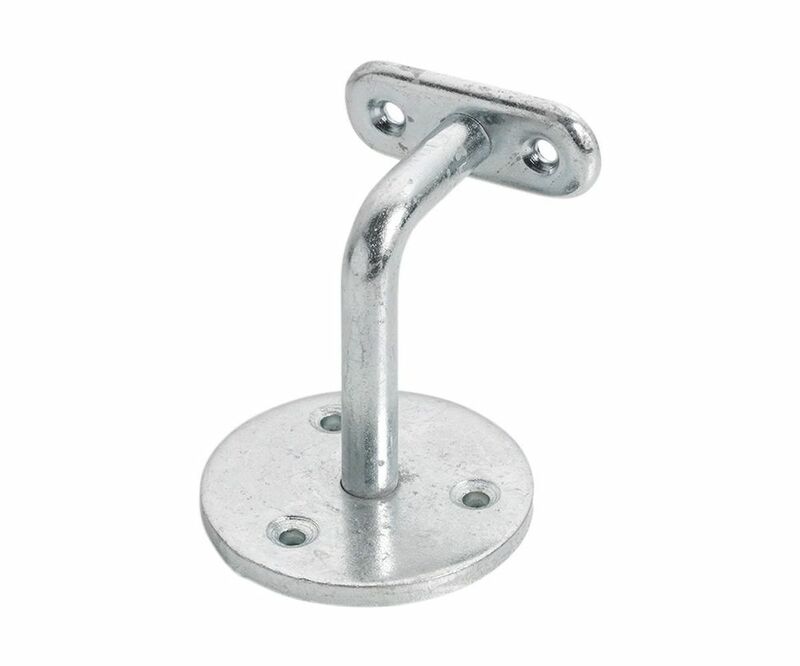 Secure a handrail to the wall in high traffic areas in residential homes or hospitals with the Heavy Duty Handrail Bracket. Strong and durable, the bracket features a round rose with 3 equispaced, pre-drilled screw holes on one end and a rectangular plate with rounded corners on the other, joined together by an L shaped stem. The round rose fixes to the wall and the plate is to be screwed into the underside of the handrail itself. The heavy duty bracket features slightly wider diamters at 70mm and 12mm on the rose and stem. Choose from 2 projection sizes; 63mm or 90mm. Made from mild steel and zinc plated which gives a bright and modern appearance as well as corrosion resistance.